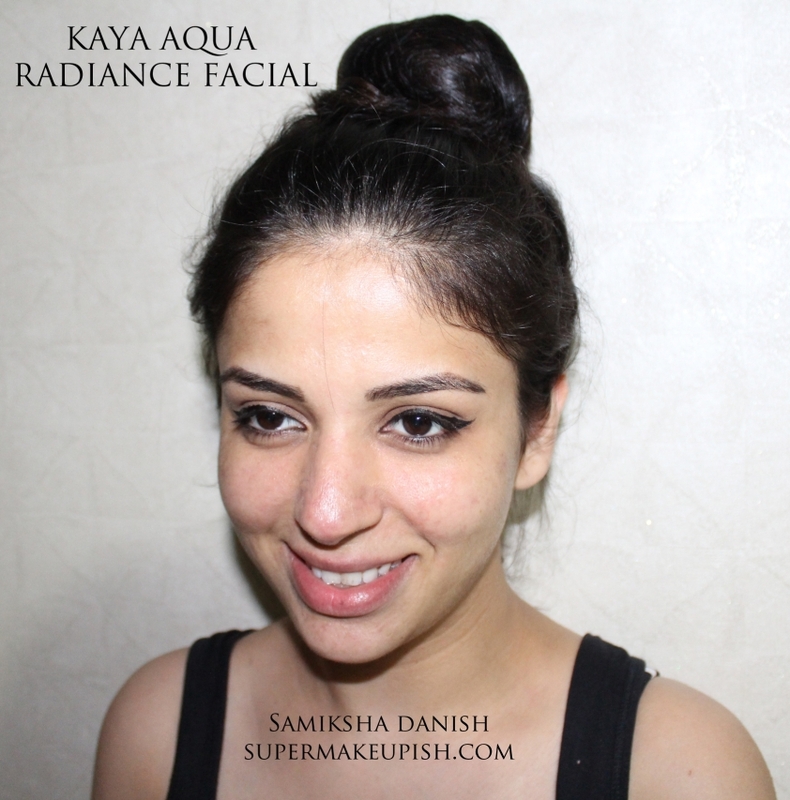 Kaya Radiance aqua facial. hydration facial- 5 hours after the facial. My acne scars looks soooo much lighter and my skin looks way smoother than it normally does. I was recently invited by Kaya Skin clinic to review their Aqua Radiance facial. I’m someone who loves getting facials, who doesnt ? So when Kaya asked me, I just could not say no. I’m soooo happy that I dint. Upon reaching Kaya, I was offered a welcome drink by their staff members. The Aqua Radiance Facial is for someone who is looking for a boost of freshness. The treatment started off with a massage which was very soothing and relaxing . Then my face was cleansed with cold air, it was almost shocking your face with cold air but not to an extend where you feel numb. The temperature was just perfect. After the extraction of bacteria, vitamins were sprayed onto my face . Once that was completed , they did a mini clean up where they removed all my black and white heads. My skin felt super soft and i felt refreshed. The facial ended with a peel off face mask. Upon completion of the facial, my skin felt and looked like a baby’s skin. It looked fuller, cleaner and fresher. This facial is a perfect way to cleanse and hydrate your face from Dubai’s hectic lifestyle. The therapist who did my treatment was Maureen. For more information on contact details & location, check out the link below.